Tough job? 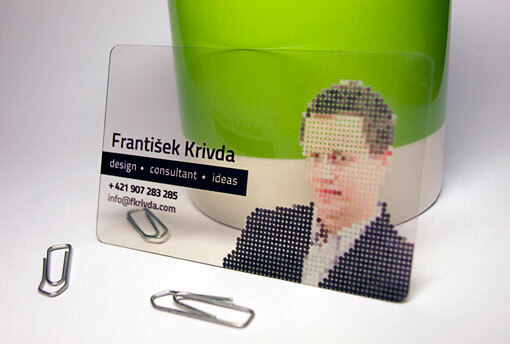 Plastic business cards are the slick, city cousins of traditional paper cards. Shiny, sleek and fun they are an eye catching way to promote your unique business… And they won’t fold under pressure. 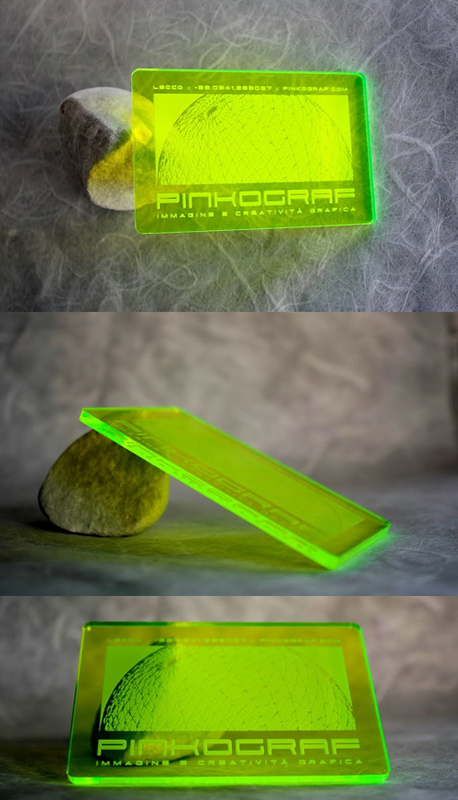 Plastic cards can be cut into intriguing shapes. They can be paired with other technologies to tell your story in a brand new way. 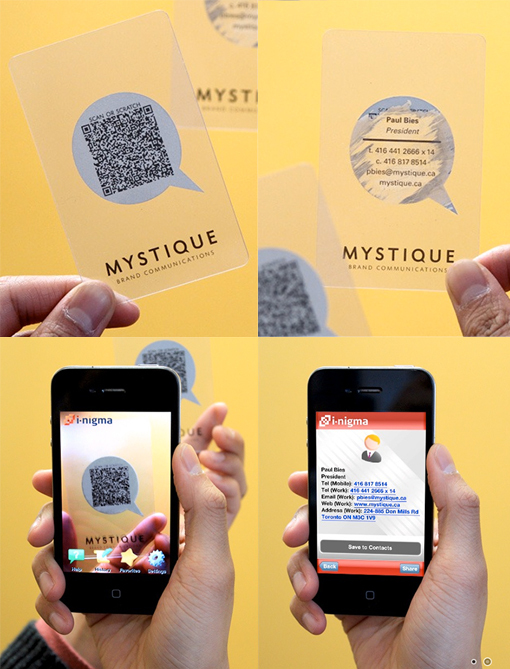 These clear cards highlight the focus of the design, the business they promote. This design uses an eye catching colour to great effect. 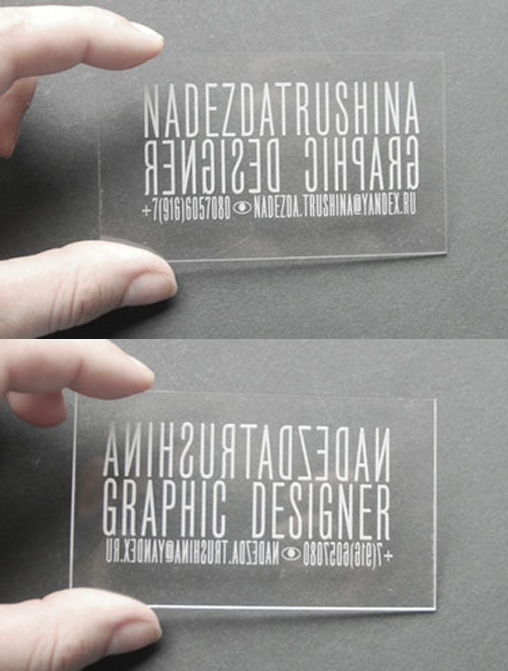 Who said plastic business cards are frivolous? 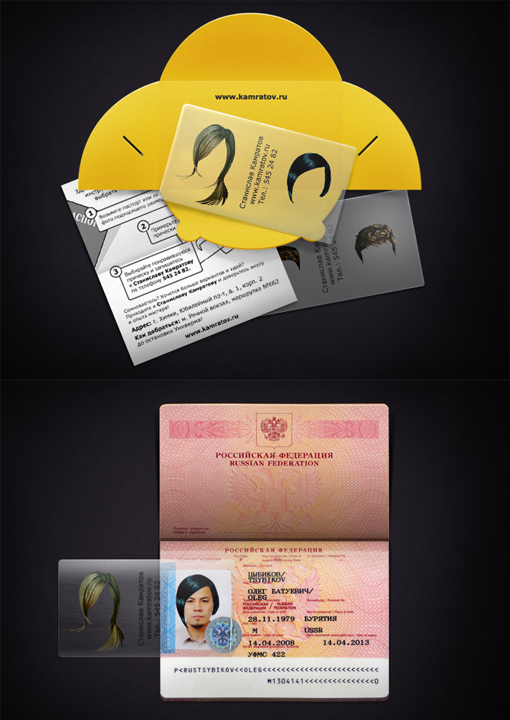 These useful cards give you the opportunity to try a new hairdo over your passport photo. I know I look great in mine! Another clever use of clear plastic. A double sided text puzzle, and a real talking point for your business. Worried plastic cards are tacky? With a modern, minimalist design these cards are both eye catching and beautiful. 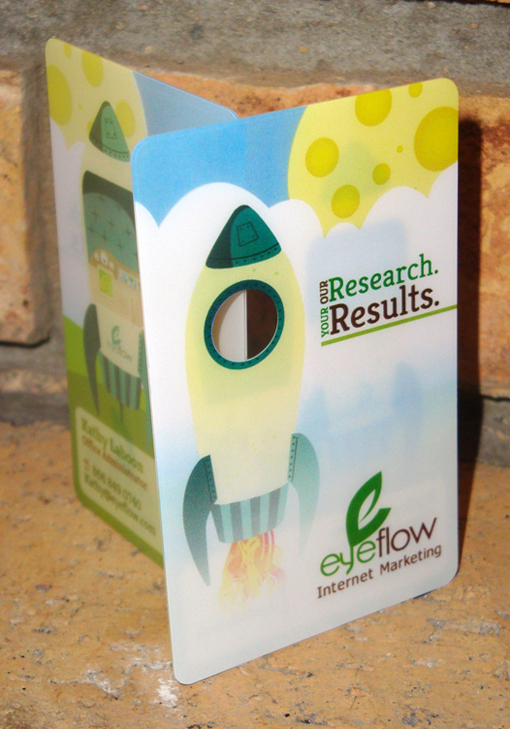 The best thing about plastic business cards is they are incredibly durable. They’ll be a long lasting reminder of your business long after you have moved on.